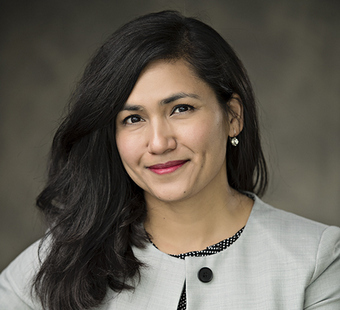 Saba F. Hashmi focuses on strategic planning, trustee education, board self-evaluations, executive performance evaluations, research, and policy development for Mosaic clients. Her public funds experience includes retirement systems and state investment boards. Before joining Mosaic, Saba served as a fiduciary analyst in the Fiduciary Services Practice of Chicago-based Ennis, Knupp & Associates, the predecessor firm to Aon Hewitt Investment Consulting. She served as a project manager for the practice’s largest engagements including broad-scale fiduciary reviews, which in part examined the policies and procedures used by boards and staffs in light of common and best practices. Additionally, Saba assisted in conducting governance facilitations, such as board self-assessments, evaluating policies, including those relating to board and staff codes of ethics and conflicts of interest, and developing trustee orientation curriculums and continuing education. She has also conducted primary research related to best practices in the public sector regarding compensation, executive staff structure, organizational design, public fund governance authority, and other related topics. Saba has worked with state and local public sector clients in Arizona, California, Colorado, Maine, Michigan, New Mexico, North Carolina, Texas, and Wisconsin. With a Bachelor of Science degree from Loyola University in Chicago, Saba is currently pursuing additional degrees in accounting and mathematics. She was also awarded the Certificate of Achievement in Public Pension Policy by the International Foundation of Employee Benefit Plans.